“We've rolled users back to this interface to prepare for upcoming changes that will add new features and optimize many existing ones. When these changes are released in the next few days, we'll offer members an easy way to toggle back and forth between the New StumbleUpon experience and previous versions” says a StumbleUpon Beta Group announcement. - The StumbleUpon homepage, which no longer features the huge, half-page wide explanatory banner. - The URL review page has suffered two modifications: clickable tags are now available and you will notice them beneath the featured comments; the position of the site recommendations has been placed underneath the comments. - The Tab page has received some enhancements. - Mass Share web stumbling has been improved upon. In related news, this October saw the launch of StumbeUpon’s Partner Program, and the first ones to sign up were The Huffington Post, Rolling Stone, HowStuffWorks and National Geographic. 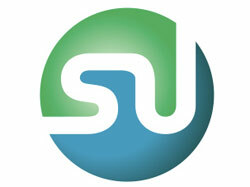 This week four more partners were welcomed by StumbleUpon, mainly 5min.com, Atom, Scientific American, and funny or Die. According to general manager of StumbleUpon, Michael Buhr, the company he represents is more than glad to team up with these top rank publishers, especially if you consider the significant web exposure increase that StumbleUpon is expected to experience. Keep in mind that the competition is made up of strong brand names such as Digg, Mixx, and Reddit.